Visit the most beautiful lake of the world and three surrounding villages in one day! 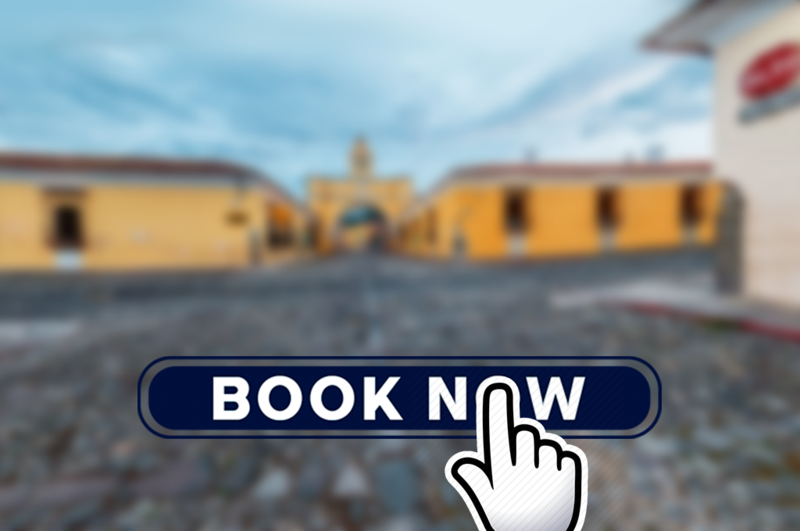 The tour starts 05:30 with a group transfer that takes you from Antigua to Panajachel. We arrive at Panajachel at 08:30, and at 09:15 we will depart de dock by boat to visit three villages around the lake. The first town we visit is San Juan la Laguna, a very calm village with a Tzutujil population. Here you can find dozens of female-run weaving Co-Operatives, producing beautiful textiles according to time-honored methods passed down through generations, often using organic local cotton and natural dyes. You will also find delicious chocolate, natural and organic shampoo, soaps, other toiletries, as well as many beautiful paintings and art galleries. The best part of purchasing some of these natural products or local art is that profits are injected right back into the community, where it is most needed. Our second stop is at San Pedro la Laguna, where you can enjoy a true Guatemalan coffee and learn about the whole process of altitude- and volcanic coffee. The coffees here developed are known for their clean sweetness and sparkling acidity, due to the combination of rich volcanic soil and good elevation. Atitlan’s soil is rich with organic matter; about 90% of coffee in Atitlan is cultivated along volcanic slopes that surround Lake Atitlan. After our little coffee break we will visit the local market and church of San Pedro. At 12:30pm we have a one hour lunchbreak (lunch is not included), after which we continue our tour to Santiago Atitlán. Santiago Atitlán is the largest village surrounding the lake and counts with the largest Tzutuhil population. It is also home to one of the altars of Saint Maximon, San Simon or Ri Laj Mam, as he is affectionately known. Maximon is a Native American saint who originated from the Mayan Tzutujil tribe in Santiago Atitlan. Maximom is now know all over the world and attracts worshippers in need of divine intervention, miracles or simple aid in day-to-day problems. Help is given wherever needed, whether the request is a good or a bad one. After having paid a visit to Maximon, we will walk to the formidable parish church that was built by the Franciscans in the mid-16th century. We then go back to the dock, passing a street full of artisan shops where you can buy your last souvenirs. Traveling from town to town, one can witness the changes between regions and villages (pueblos) by the patterned designs and styles of the women’s blouses and skirts. Each one is representative of an area or town. Even the men in some areas, such as Santiago Atitlan, still use their traditional clothing that includes special hats and knee-length pants decorated with birds. At 15:00 pm we return to the pier in Panajachel and at 16:00 pm collective transfer will take you from Panajachel back to Antigua.